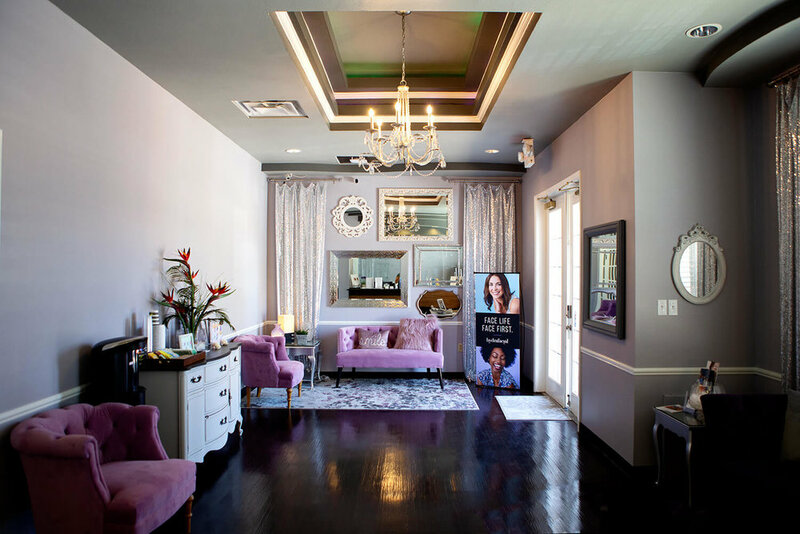 Melt Spa + Massage is a full-service North Fort Worth day spa located in Keller, Texas, offering relaxing facials, massage and waxing services by skilled and licensed therapists. Locally owned by Patrick and Rian Bowes, Melt is free from the assembly line feel of a franchised chain spa, or the pretentiousness of some high-end spas. We focus on bringing you exceptional service and the best possible spa experience in an inviting and relaxing, upscale environment. Discover our Keller spa services. Melt Spa + Massage officially opened in 2018, but our history goes back a little further. Before Patrick and Rian Bowes bought the business, it was known as Celeste Massage, a popular Keller massage location with lots of loyal clients—and Rian was one of them. She had first discovered the spa during a stressful time in her family’s life, involving a move to Texas, a new baby, several surgeries and hospital visits, and a possibly-rabid chipmunk. However, things were beginning to look up. After a year and a half of home-schooling their oldest child due to health issues, all four kids were finally back in school, and everyone was feeling much better—including the chipmunk. Then, Rian received a card from her sister with a check inside, and a simple note. It said: Go get a massage. You need it! “I was in the thick of it then, and remember feeling so loved by my sister and also thinking, “That's stupid! Who has time for a massage?” Rian says. But then she remembered that the kids were all in school, so she went to Celeste Massage, and got a massage from a masseuse named Norma. “I had the best massage ever! Like, the ‘Where am I and why do I have to leave?’ kind of massage.” So, when the salon’s former owner offered her part-time job working the front desk, with a massage discount, she said yes. A few months later, during Christmas time, the former owner decided she wanted to move on from the spa business. Rian worried about what might happen to Norma, along with Christena and Dale, the spa’s other employees. She and Patrick prayed, thought about it, took one look at their lives with four kids, two dogs, two tree frogs, a ferret named Loretta Pumpkin Squish, and a goldfish that lives in a cheese ball container, and thought, “Sure! We can do this!” They bought the Keller spa, and are now the proud owners of Melt Spa + Massage. Norma, Christena, and Dale, who are immensely loyal and talented, kept their jobs and pitched in to help as Patrick and Rian expanded the team. They hired four new employees, including two estheticians, another masseuse and an office manager, and transformed the entire spa in just two months. Patrick and Rian are very grateful to every employee at Melt, and are amazed at their commitment and hard work. We look forward to growing the business and making it as successful as possible, for our employees and our clients, so we can continue to serve you for many years to come. We invite you to visit Melt Spa + Massage, and discover what makes us different. You may not end up buying a spa, but you will get an amazing massage, facial or wax—and we hope, just like us, you’ll want to come back. There are many spas in Keller—but only one like ours. If you want to experience real, actual, customer service, come to a business where the owners appreciate their employee’s feedback and read and follow up with every client request that is sent our way. Come to a place where we’ve researched and tried product samples and picked out the best in the business. Where we’ve searched for and found the best technology in massage and skincare. Where we provide our employees with continuing education and certifications to be able to offer our guests the best options available. Where we’ve hand-picked the best professionals in the business, with all licensing and certifications intact. Come to a place where the owners and employees have the freedom to really listen to our guests and give them the experience they want. Where you can enjoy relaxing “me time,” or share the best couples massage in Keller with someone special. Whether it’s fun skincare, aromatherapy, and massage benefit classes, girls’ nights, childcare days for busy parents, teen nights, parties, or a custom package to surprise your loved ones, we will bring you something unique and different, and have fun doing it. We realize that our guests are making our vision a reality, and we want to provide you with an amazing experience and reward your loyalty along the way. We won’t rope you into a Melt membership with a contract, and we took the extra steps to accept FLEX spending, so that you can use that benefit if you have it. Come to Melt Spa + Massage and see how we are doing things better in the spa industry. We can’t wait to welcome you to our family.